Body hair is a tricky subject. Even though we all have it, and it’s totally natural to have it, for some reason we’re obsessed with getting rid of as much of it as possible. Whether it’s because we love the silky, smooth feeling of being freshly waxed or we just hate the look of unsightly hair under there, we’re all guilty of having our own favourite hair removal method. But, sometimes, we just can’t face getting rid of it ourselves. Whether we’re sick of the shaving rash, or simply no longer have the stomach to pull off the waxing strips and end up going to work with them still hidden underneath our work trousers, sometimes hair removal requires a specialist touch. And professional help for getting rid of those nuisance hairs is great – but where do you start? What beauty treatments are out there for hair removal, and what’s best for your skin type? We took a look at some of the best beauty treatments around for hair removal, to help you work out which one will work best for you. Ah, hello waxing, our old friend! Probably seen as one of the most common beauty treatments for hair removal, waxing involves using heated wax and a cloth or paper strip. A form of semi-permanent hair removal, it rips the hair directly from the root to leave you with that luscious, and oh-so-soft, feeling of smoothness. New hair won’t grow back in the waxed areas for between four to six weeks, although some people do start to see re-growth earlier due to some of the hair being on a different growth cycle. Another one that we’re probably all familiar with, threading is common practice in Middle Eastern and Asian countries. It involves using a thin, doubled cotton thread that has been pulled taut to roll over the spots where you want to remove hairs. It doesn’t require as much effort as plucking individual hairs and it’s mainly reserved for smaller areas like eyebrows, upper lips and cheeks. 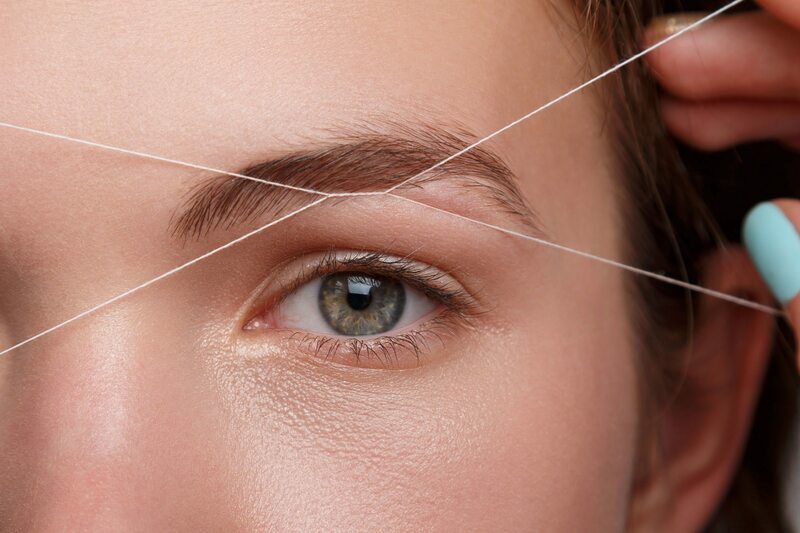 Since professionally is pretty much the only way to go with threading, you’ll definitely want to book to see a specialist if you want to give it a go. It’s also relatively painless and the results are pretty spectacular if you go with a therapist that really knows their stuff. It’s only downside is that, unlike waxing, you can’t use the technique all over to get rid of some of those peskier body hairs, so if you’re looking for a hair removal method that works all over, this one may not be right for you. Moving off from the familiar to the relatively less well known, dermaplaning is used for hair removal on the facial area. 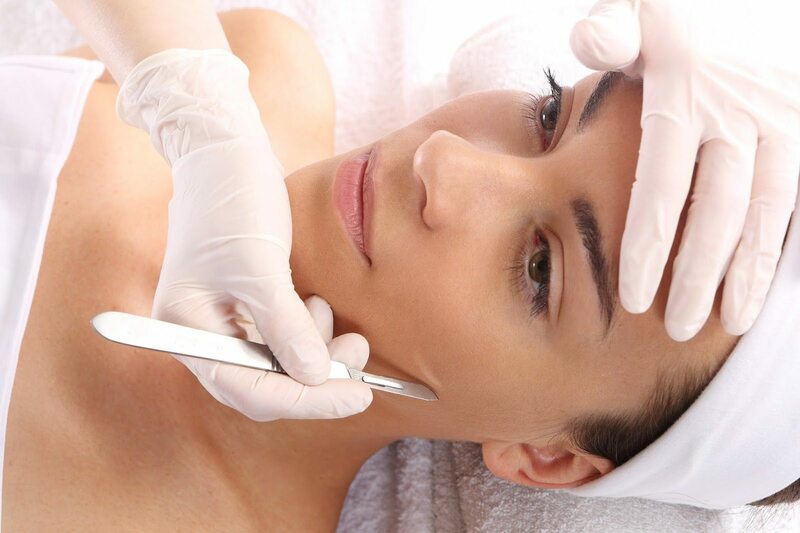 It involves using a very fine surgical blade to remove dead skin cells, with the added benefit of removing those annoying fine facial hairs we all suffer with. It’s officially an exfoliation treatment that does involve an element of shaving, but actually it turns out that if the blade is used at the correct angle, you can actually prevent any hair re-growth altogether. It also leaves your skin smoother, more supple and brighter – major all-round wins for anybody looking to rid themselves of the pain of plucking or waxing. The downsides? It will take a run at your wallet for sure, but perhaps worse still is that sometimes, when the hairs do grow back, it can actually result in the hairs growing back finer – which can be more of a pain than it’s worth. It, again, is also definitely not suitable for removing hair growth all over, so no luck on that front! Please note, we cannot currently insure Dermaplaning under our Salon Gold Beauty Therapist insurance policy but can still arrange a separate policy for you. Please contact us for a quotation. Sugaring is relatively new to the hair removal scene in the UK, but it’s been practiced for centuries around the world, particularly throughout Northern Africa, Greece and the Middle East. A hair removal treatment that’s a little like waxing, sugaring involves using a gel made from sugar, lemon and hot water, which is then used to pull hair out of the roots. It’s by far one of the most gentle and ancient techniques and provides a natural alternative to lasers – one that lasts much longer than traditional waxing. Unlike wax, sugaring doesn’t stick to the skin – only the hairs – which means it can effectively pull hair from out of the roots. It binds to only your hair and means that it doesn’t damage your skin when the hair is removed. It’s less likely to cause irritation and is good for removing fine hairs all over the body. You do have to have hair at least a quarter of an inch in length before you’re a candidate for sugaring, but it does seem to be one of the better methods of hair removal about. It’s also easy to get rid of the residue at the end, since all the ingredients are totally natural. The only real downside is that it can take a few sessions before your hair is totally removed. But, since it’s widely believed that sugaring is a better method of hair removal for those with sensitive skin, we’d definitely consider this one and all-round winner. Lasers, or IPL, is something you’ll no doubt have heard of before, but you may not totally understand what it does or how it works. 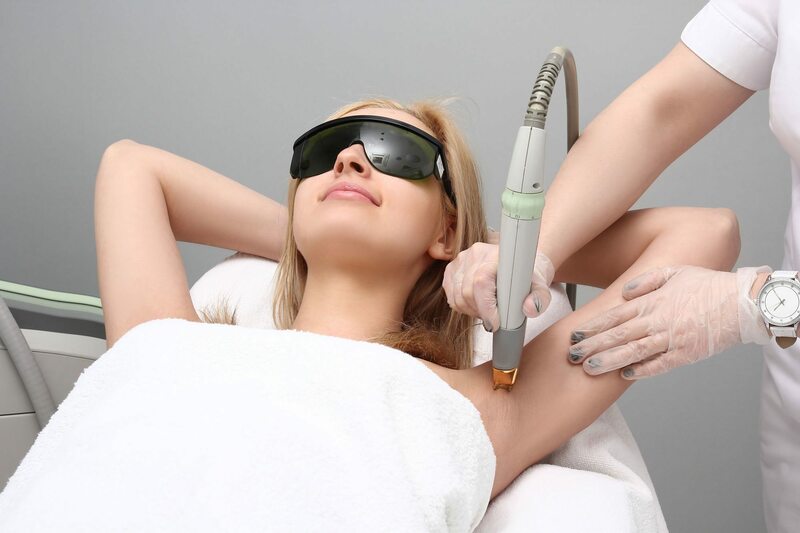 Essentially, laser hair removal works by using a laser (an intense pulsating beam of light) to remove any unwanted hair. It passes through the skin to an individual hair follicle, and the intense heat of the laser damages the hair follicle in such a way as to prevent future hair re-growth. It’s a very precise method that works best on coarse, dark hairs, and leaves the surrounding skin undamaged. Laser hair removal can be a bit of a challenge on darker skin tones though, as the laser can have a hard time differentiating the skin from the hair, which can lead to discolouration of the skin. The laser can actually end up killing the surrounding skin tissue, instead of the hair, which can end up causing permanent scarring. 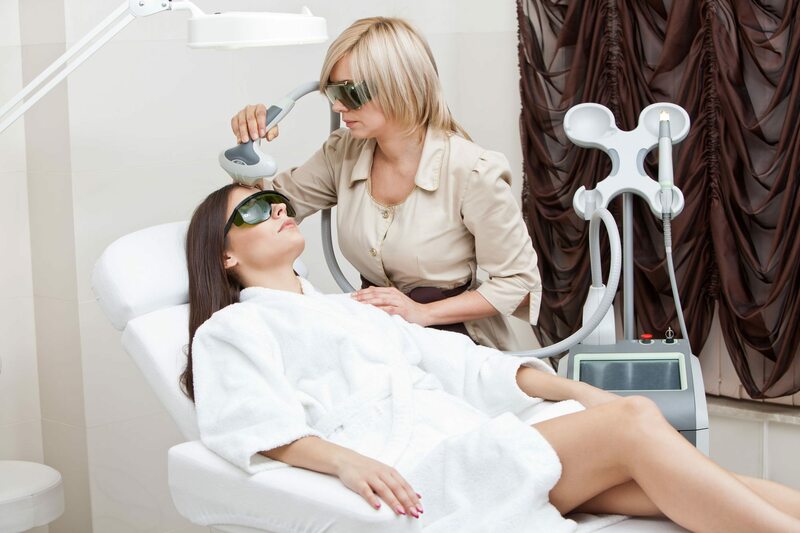 As technology has advanced and evolved, there are now specific laser treatments that can be used on dark-skinned patients, which reduce the chance of scarring, burns and discolouration. On the plus side, laser hair removal can be used all over your body, from facial hair and legs to underarms, bikini line and arms, as well as other areas too. It’s very quick too, as each pulse of the laser only takes a fraction of a second and can treat multiple hairs at the same time. It takes roughly about three to seven sessions to achieve permanent hair loss. That being said, laser hair removal is incredibly expensive. You have to forgo other methods of hair removal before you start treatment, in order to get the best results, which means you end up having to keep the thing you’re trying to get rid of for a while before you can actually start the process of getting rid of it – six weeks to be precise. You also have to try and avoid sun exposure during this time period before and after treatment too, because it can make hair removal less effective and result in further complications after treatment. And if you want to use it to get rid of those light, fine hairs, forget it – laser hair removal is only really effective on dark, coarse hairs. If you’ve got the money and the patience though, it’s definitely worth a look in for a more permanent form of hair removal. And finally – electrolysis! A firm favourite by beauty therapists everywhere, electrolysis is a permanent form of hair removal that uses a medical electrolysis device to destroy the growth centre of the hair with chemical, or heat, energy. After, a very fine probe is inserted into the hair follicle, the hair is then removed with tweezers. The good news is, electrolysis can be used almost anywhere. There are generally no permanent side effects, but you may experience some temporary, slight reddening of the skin after treatment. It takes a series of treatments to permanently remove the hair, and treatments can last anywhere between 15 mins and an hour. Unlike lasers, electrolysis can hurt, but it can be solved by your beauty therapist using a topical anaesthetic to lessen the pain. Over to you – what are your favourite hair removal beauty treatments and why? Share your experiences with us in the comments on Facebook and Twitter.